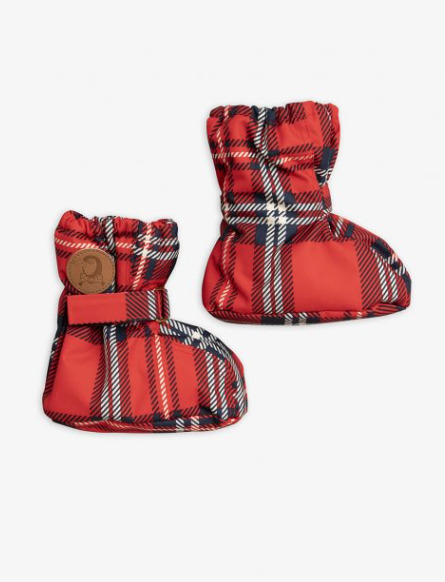 Baby boots in red with an all-over checked print inspired by classical tartan patterns, featuring a soft fleece lining, a faux leather penguin patch on each shaft, adjustable straps at the ankle and an elastic at the opening. The boots are highly breathable and water resistant, made of a functional and heavy-duty shell fabric with taped seams and a BIONIC-FINISH® ECO coating. 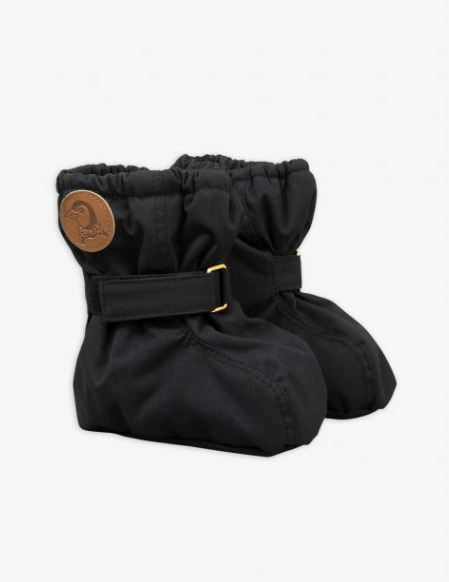 Baby boots in black with a soft fleece lining, a faux leather penguin patch on each shaft, adjustable straps at the ankle and an elastic at the opening. The boots are highly breathable and water resistant, made of a functional and heavy-duty shell fabric with taped seams and a BIONIC-FINISH® ECO coating. 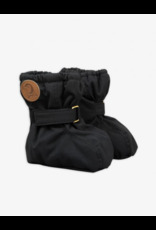 The baby boots are part of Mini Rodini’s Explorer series which consists of especially functional and durable outerwear, produced to be warm, water-resistant, highly breathable and withstand almost any kind of weather. 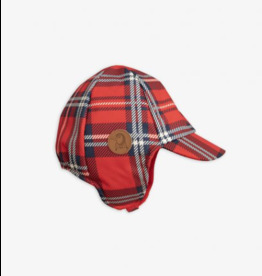 This style is a returning Mini Rodini classic. • Adjustable straps at the wrist and elastic at opening • Breathable with 8000 g/m2/24h • Water-resistant • Shell 100 % polyamide • Lining 100 % recycled polyester • Padding 100 % recycled polyester • BIONIC-FINISH® ECO • Made in China These boots have a water-repellent BIONIC-FINISH® ECO coating. In most water-repellent coatings on the market today the use of fluorocarbons is a rule rather than an exception. These chemicals decompose very slowly in nature, are easily spread and nowadays found worldwide. They impair reproductive ability and are also suspected to cause cancer. BIONIC-FINISH® ECO is made with an alternative technique and is not only free from PFC and fluorocarbons but also from formaldehyde and paraffin. 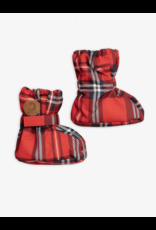 The recycled materials used to make these baby boots are GRS certified which ensures that the fabric consists of recycled materials made from, for example, PET soda bottles, discarded fishnets and used clothes. GRS is the strictest certification for recycled materials on the market today and includes rigid controls of especially chemical use and tracking, but also working conditions. 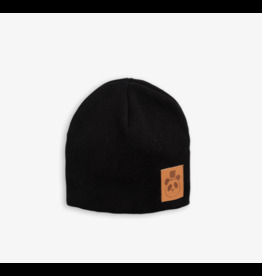 Black knitted hat in double layers of GOTS certified organic cotton with a faux leather panda patch at front.